Making gifts is one of my favourite Christmas activities. In the past I've made soaps, lip balms and other things but this year I decided to try candles for the first time. Everyone loves a candle and as long as you keep the scent mellow and not overpowering, they are sure to be no offensive gift. These can be a real money saver too as most quality candles go for $30 or $40. 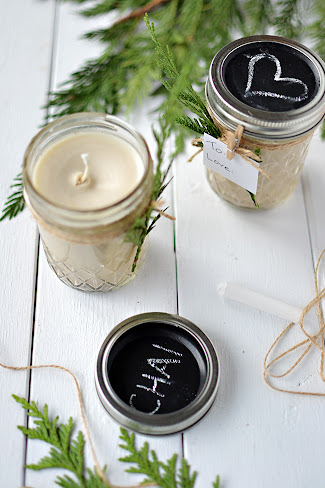 These little mason jar candles are super easy to make and so much fun with the chalkboard lids. 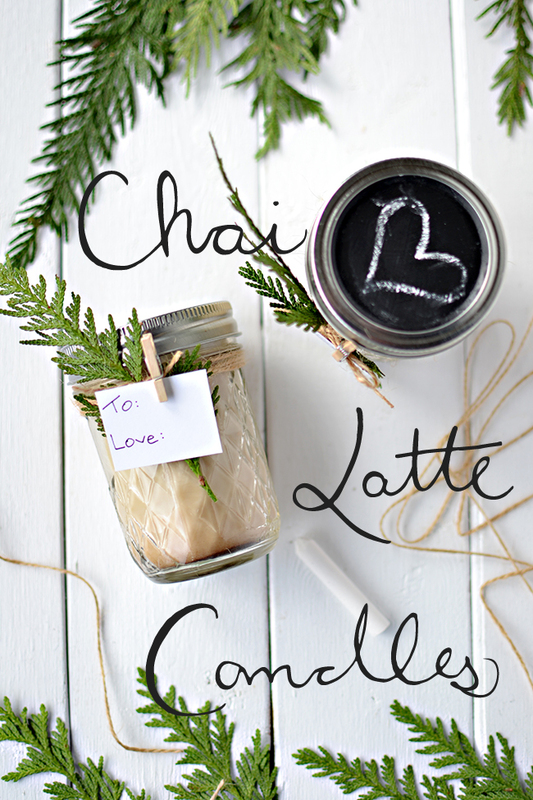 Chai spices are great for Christmas but also work year round so feel free to make these anytime of the year for your chai latte lover. If you're in Vancouver, there is a great little shop on Main Street called The Soap Dispensary where I got the jars, wicks, and soy wax. 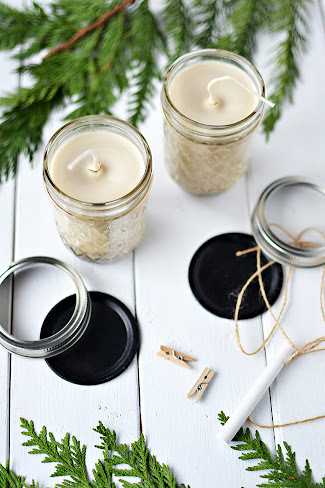 The jars and wicks are sold individually and the soy wax by bulk which makes it so convenient! 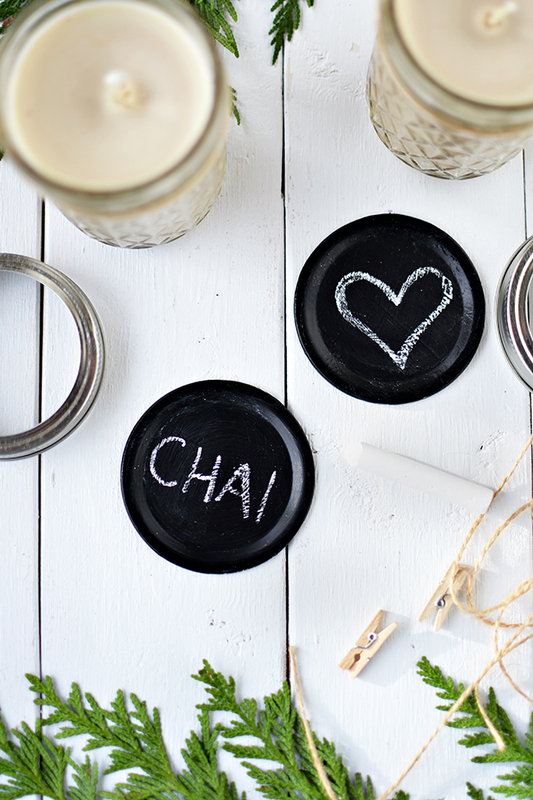 They also have lots of essential oil so if chai isn't your thing, they've got you covered! 2. 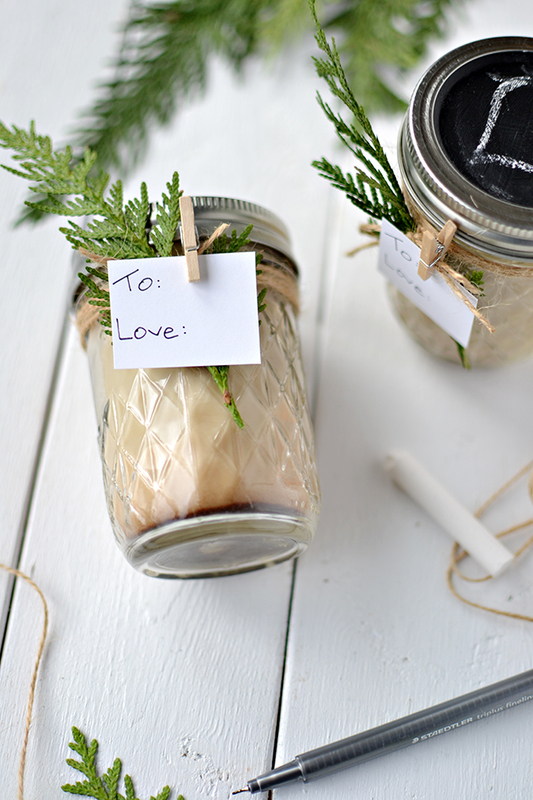 For the wax, you will need two times the amount of your jar, whatever size it is. So for each candle, you need to scoop twice. 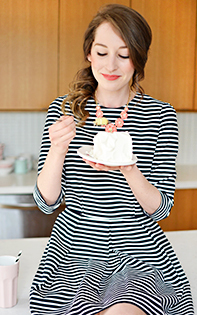 If you're making two candles like I did, then scoop four times. Make the scoops very generous. It's better to melt more than less. 3. 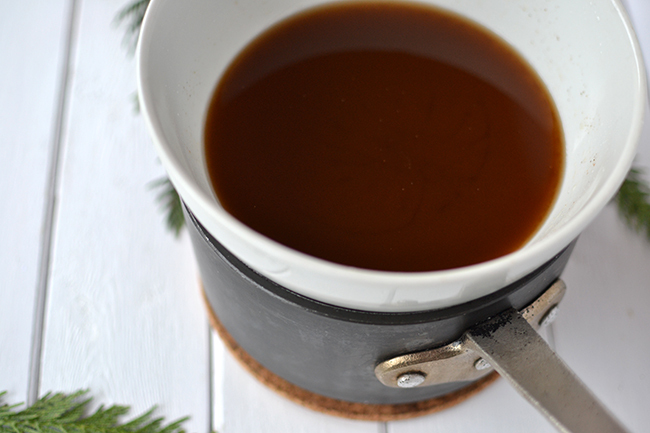 Pour the wax into a bowl fit snugly into a saucepan that is filled with 1/2 inch of water. Make sure the bowl doesn't touch the water. 4. Melt the wax on low heat, stirring when the flakes begin to melt. 5. Once completely melted, add in the spices. 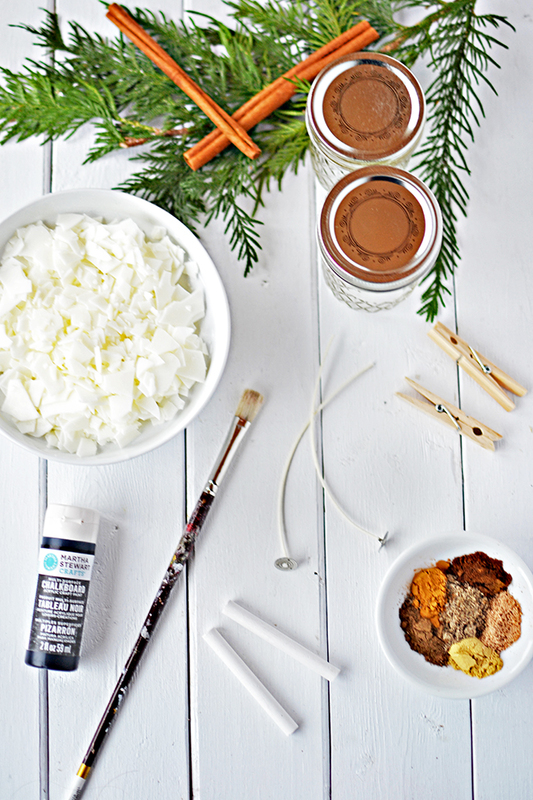 Each candle requires 1/2 tsp of each spice. 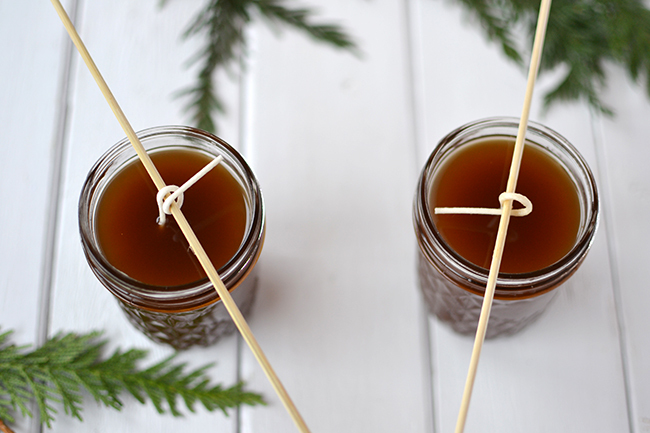 If you are making two candles, then you will need to add in 1 tsp of each spice. 6. Stir the spices and let sit for 3 minutes. Stir again and let sit for another 3 minutes. 7. 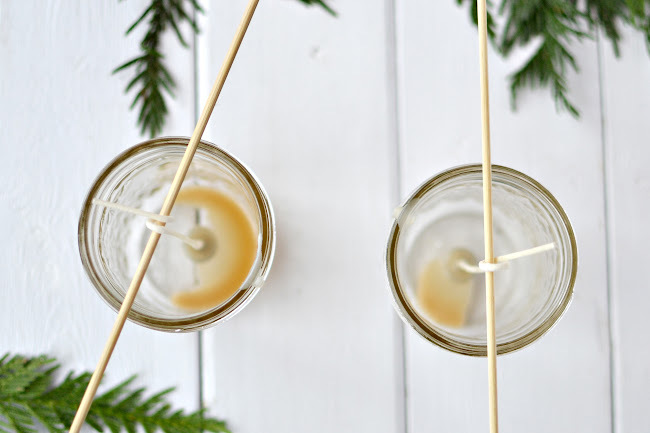 Wrap each wick around a skewer so that it stands inside the jar supported. 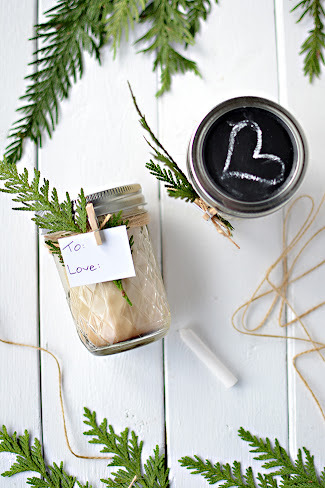 Then, dip the tab into the melted wax and place back into the jar. 8. 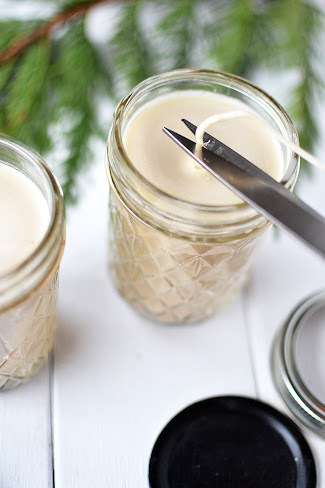 Once the wicks have set, scoop the melted wax into each jar using a ladle. 9. The wicks may move around, so just try to put them back in place. 10. Let the candles cool completely, which will take a couple hours. 1. 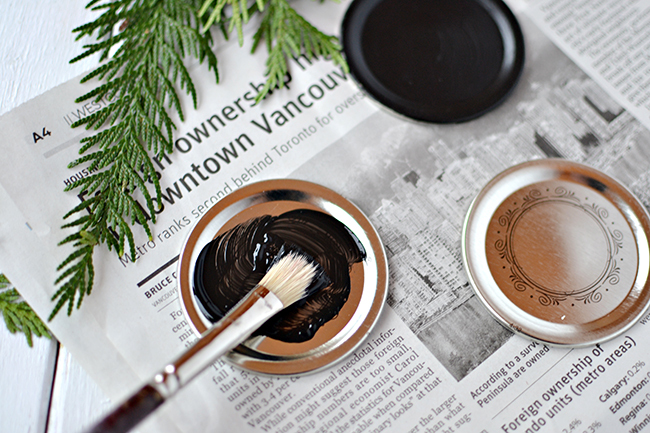 Paint each lid with one coat of the chalkboard paint. Don't worry if it looks streaky. 2. Let dry completely, about 2 hours. It's important you let the first layer dry completely or the paint will lift off with the second coat. 3. Paint a second coat and let dry. 4. If the paint doesn't look even, do a third coat. 5. Let lids cure for 24 hours before using the chalk. 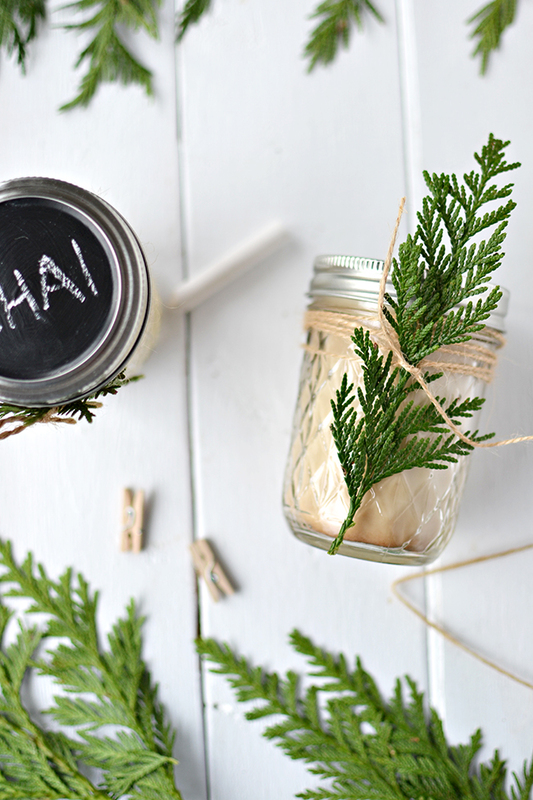 Tie on a label with some twine and little greenery!